The following is a letter than Adam Hall shared in TAA’s private Facebook group for TAA students. Adam took How to Sell Your Art Online in 2013, when it was still called Content Marketing for Artists. At the time, Adam did a case study which you can view here. It’s been not quite three years since Adam finished the course, and as you’ll read below, he’s made a ton of progress, including having a single month where he sold over $12,000 worth of art. We share this with Adam’s permission. We did not ask him to write it. It has been three years since I took the TAA class and I wanted to share what I think were the causes for my success. I have been looking back at the numbers and since taking the class I have had about ten percent growth for three years and I just had my best month ever in November making almost twelve thousand dollars in gross sales. So I thought I would share what I think that I gained from the course and why things seem to be trending upward. This one is the hardest to explain but might be the most powerful. When I took the class I was feeling desperate. The class helped me to see the beauty in my own work and to be interested in my own story. I was kind of burnt out and taking the class helped me to get closer to my inspiration and shout it from the rooftops. With the help of the facebook support group, I found my voice and I still have that sense of adventure with my artwork and people can sense that. I am not claiming that I always write the most interesting newsletter or that people read every one. But it lets people know that I am still here and if they have a project they should get in touch with me. I just sent one out today and was contacted by two customers that wanted to know about paintings they had seen earlier. Just having a consistent way to show people that your still making artwork is hugely important. Because you never know when they have a new house, a wedding or some project that you can take on. I wish my newsletters now were as compelling as the ones I wrote in the class. But I am glad they have been consistent because I think that gives me an advantage. 3. Have Something Expensive to Sell, or Something Cheap, or Both! 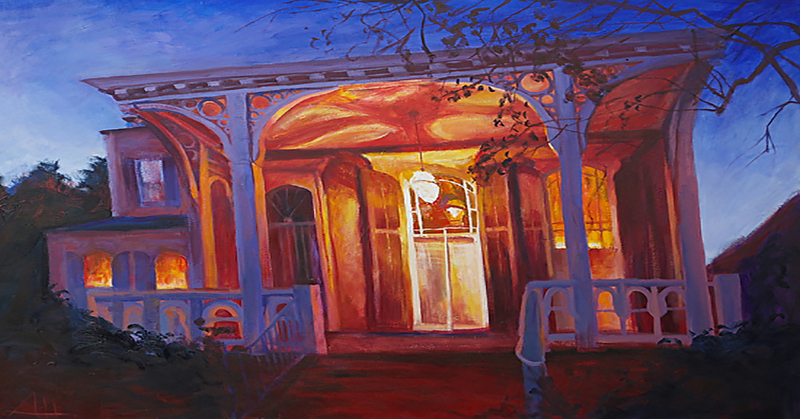 Looking back I find that a lot of my big sales are larger more expensive paintings. I don’t think these things sell consistently but there are people with big walls and you can meet their needs with large artworks. This is the easiest one to do but it seems impossible to some people. Prints! I make a large part of my income with prints now and I could not have done it without the class. I have a lot of neuroses about prints and I am not the only one. I used the class as a sounding board for ways to go about making prints. I found a way to do it with integrity that I like and my neuroses are less. So thank you, Cory Huff, and thank you TAA group. I have some wonderful things in my life that you helped me to get. Want to do what Adam did to get these results? 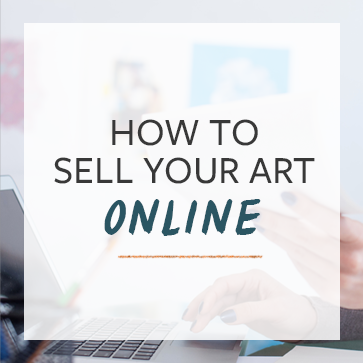 Check out our How to Sell Your Art Online course. This is inspiring. I setup my first online store on my website last week after following your blog. Not able to take your course yet, but I will as soon as I can.